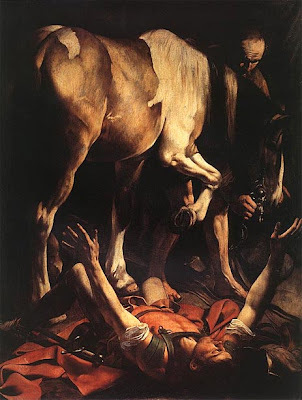 Most Catholics never have quite the conversion experience that was experienced by Saint Paul. However the call to conversion is heard clearly and loudly through our faith in Christ Jesus every single day. Recently, I had a conversation with someone who asked me if I had accepted Jesus as my personal Savior! Well, anytime someone poses that question to me it rubs against my personal and communal faith that was gifted to me by my sacramental Baptism, and the gift of Eucharistic nourishment. Furthermore, such as question often implies that faith in Jesus Christ is solely a personal acceptance and function of one’s individual faith. As a Catholic believer, I wholeheartedly accept and believe in Jesus Christ and accept Him as my personal Savior. As an intrinsic part of that belief, I also believe in the divine institution of the Catholic Church as revealed to all of us through the Word of God, the Sacraments and the teachings of the Apostles. Most emphatically my religious faith is deeply intertwined with the mystery of Jesus Incarnation, His crucifixion and most especially the glory of His resurrection. Perhaps Saint Paul best encapsulates the radical transformation on all levels of his ontological being that faith in Jesus Christ brings about! His revelational moment offered Saint Paul the sacred moment of kairos that resulted in his unconditional recognition of the Gospel message. In our own lives as Catholic believers, our moments of conversion are not as dramatically revealed in such powerful actions such as being catapulted from the saddle of a horse, but they are no less transforming and sacred. Saint Paul’s conversion shows all of us in Catholicism that our experience of faith is indeed a moment of deep catharsis, a time when our proclamation of faith is the seminal moment of our religious rebirth. For most believers, we experienced this moment as infants through Baptism, in the conferral of the Holy Spirit at Confirmation and in the ever sustaining Eucharist which is the center and focus of our lives as worshiping Catholics. It never at any time dawns on me to answer the question posed by inquisitive newly minted Christian followers in a manner that indicates any type of conversion or salvation outside of the Sacraments and the Catholic Church. My fiduciary faith in Jesus Christ is rooted in the sacramental life and the ongoing ministry of the Catholic Church. Every day is an ongoing participation in the Paschal Mystery of Jesus’ life, death and resurrection. Every day is a conversion towards God and faith in the eschatological mystery of participation in His eternal life. Perhaps the real message of Saint Paul’s radical conversion is simply that: radical. He completely turned away from a life that was besieged by secularism and human consumption and embraced the message of faith and love offered by Jesus on the road to Damascus. Well, every day all Catholics are reaffirming their radical profession of faith in Christ Jesus and His Church through countless examples of “transforming” activities that are realized in the actions of each Catholic believer and through the ministry of reconciliation and renewal that is offered everyday in both our individual and sacramental oblations to and for the future of the Universal Church. As a faithful Catholic, it especially pains me to hear, watch and observe Catholic actions and activities that take careful aim at the universal harmony which the ministry of the Church offers to the entire compilation of all of mankind. That is why the Pauline example of conversion is so resonant in our modern world and Church…the call to unconditional faith and ministry to Jesus Christ is continuously proclaimed in the temporal and sacramental life of our Catholic Church. Most especially, and in some respects this author advocates, to the point of theological nausea the specific call Jesus makes to the whole world for conversion through the apostolic ministry of our Holy Father, Benedict XVI. Benedict like Saint Paul proclaims clearly and loudly the need for adversio from things and movements that are contrary to Catholic moral and social teachings, not just because secularization offers a diminished realization of human spiritual potential, but because secularization lacks a fundamental appreciation and expectation of what it means to be converting to a deeper understanding of God and indeed all of humanity. The Catholic Church through Benedict challenges all humanity to undergo a spiritual and temporal conversion just like Saint Paul and to reaffirm faith in Jesus Christ not just as a personal Savior, but as the key and integral factor that leads towards the salvation of the entire world. Today as we celebrate the proclamation of unconditional faith by Saint Paul in Jesus Christ…lets all profess as Catholics our same unconditional desire towards constant conversion to Christ Jesus!